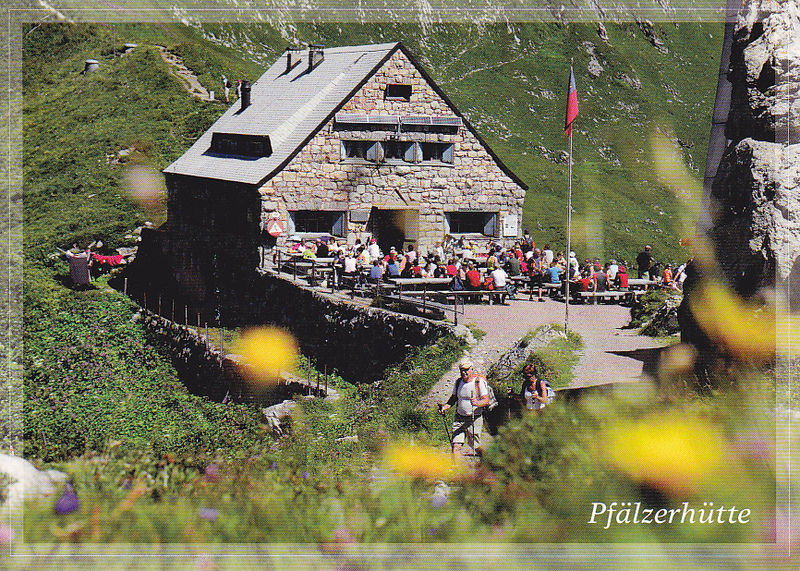 Pfalzerhutte, Malbun, Liechtenstein. 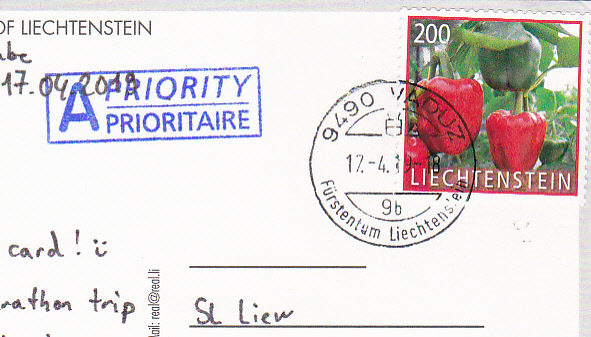 Thanks to Thibaut of Switzerland who visited Liechtenstein. 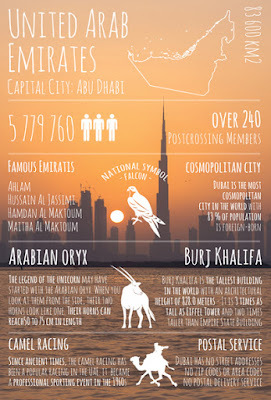 Greetings from United Arab Emirates. 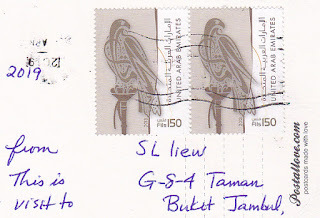 Thanks to Arnold of USA who visited UAE. 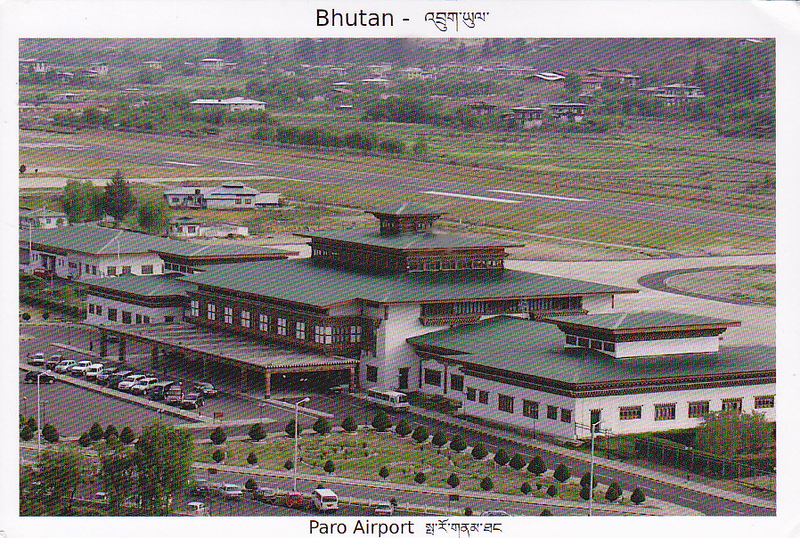 Paro Airport is the international airport of Bhutan. 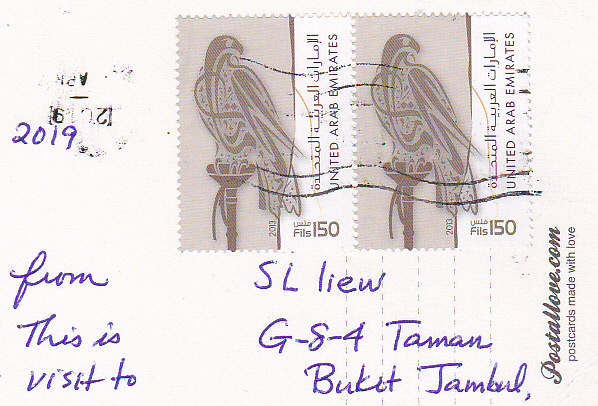 Thanks to Aravind of India. 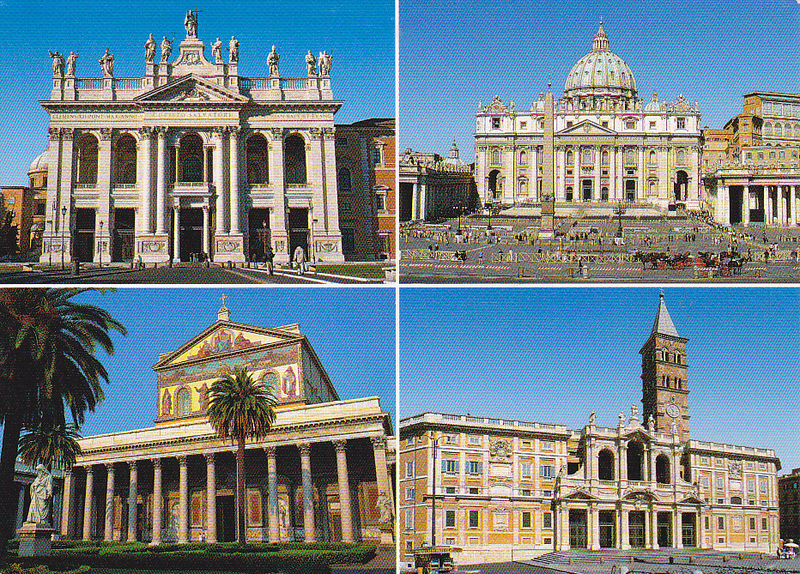 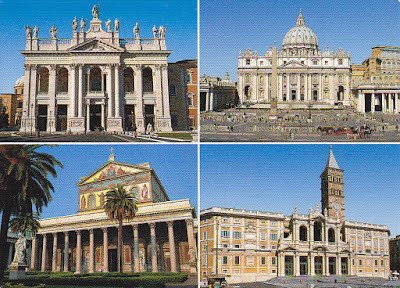 Four Roman Basiliques di San Giovanni in Laterano, di San Pietro, di San Paolo Fuori le Mura, di Santa Maria Maggiore. Thanks to Federico of Italy. 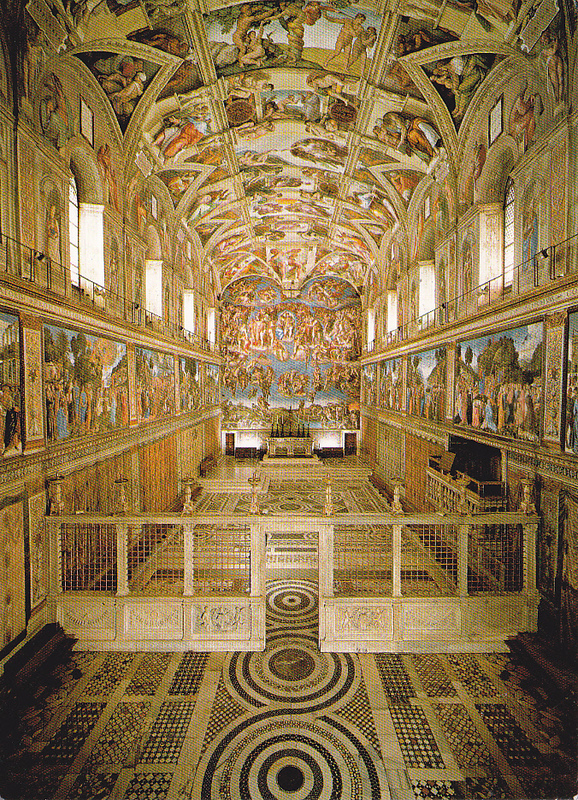 Vatican City Michelangelo Sistine Chapel. 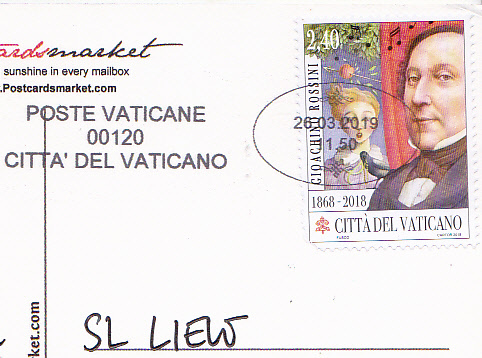 Thanks to Federico of Italy. 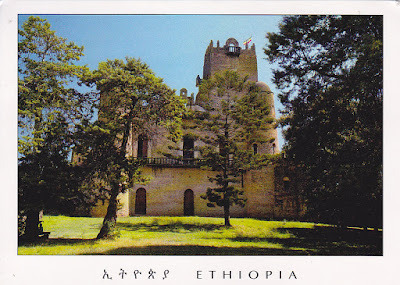 Gondar Castle - Fasilides Castle of Ethiopia. It is a UNESCO World Heritage site. 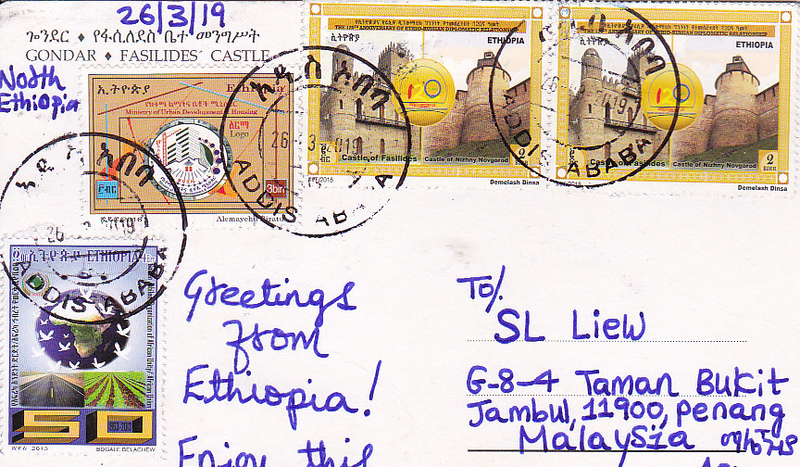 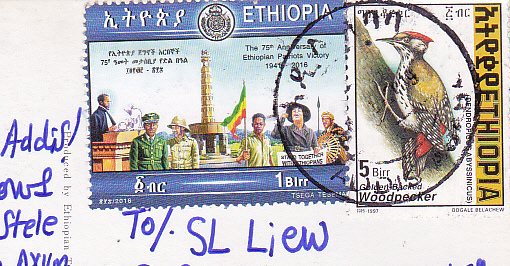 Nice stamps used including joint stamp issue with Russia with Ethiopia Gondar Fasilides Castle. 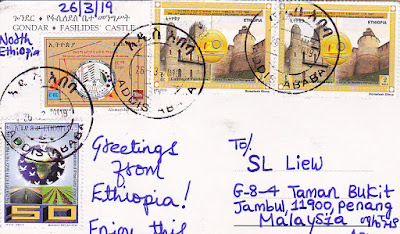 Thanks again to Adam of Ethiopia. 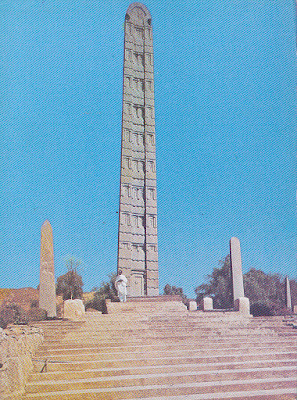 Ethiopia UNESCO World Heritage of Axum 21 meters tall monolithic steele of 4th century AD in northen Ethiopia. 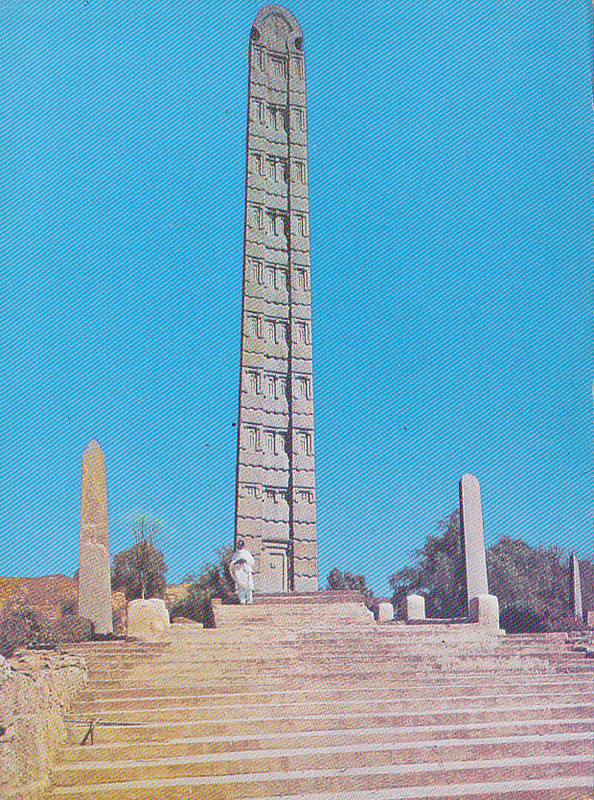 Thanks to Adam of Ethiopia. 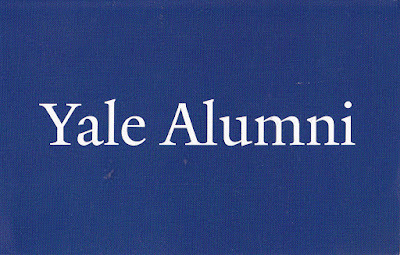 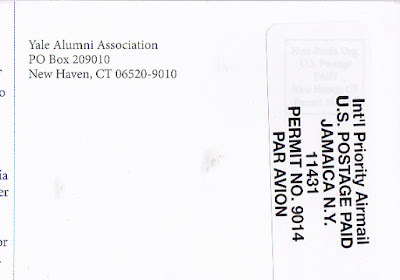 Today I received a Yale Alumni postcard from Yale Alumni Association. 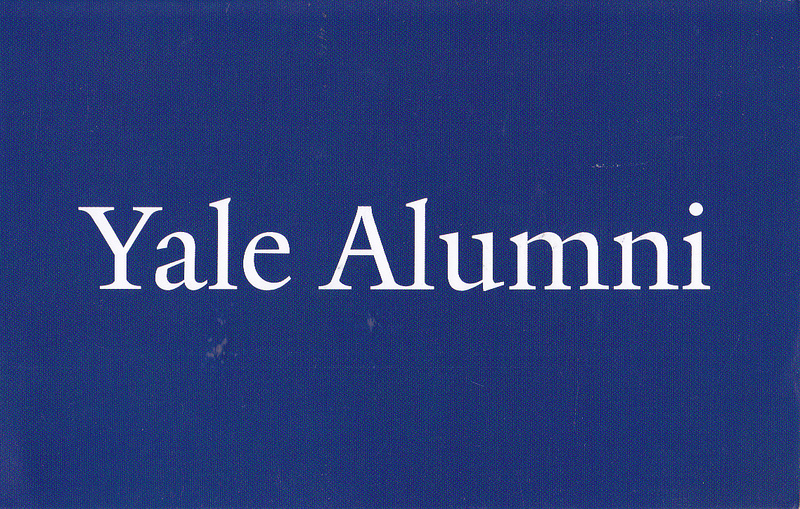 A cool addition to my Yale related postcard collection. 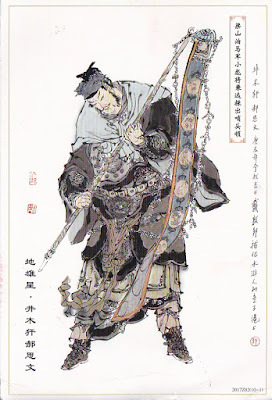 A painting of one of the characters in the Chinese Classics Water Margin. 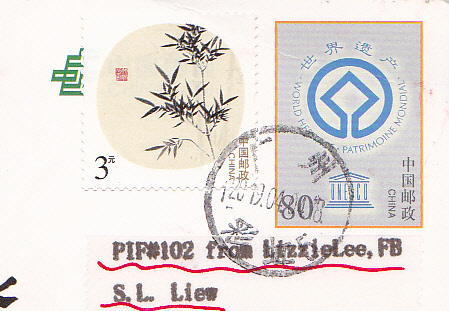 Thanks to Lizzie of China. 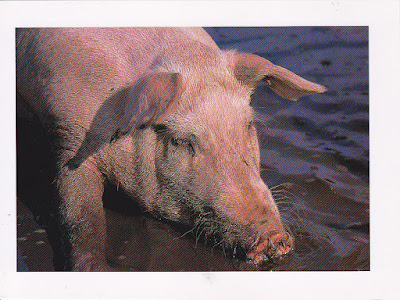 Pig postcard with Year of Pig stamps with special Houston Texas Year of Pig cancellation. Thanks to Bree of USA. 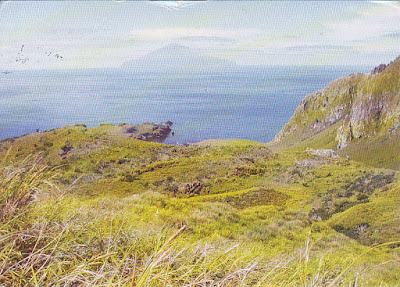 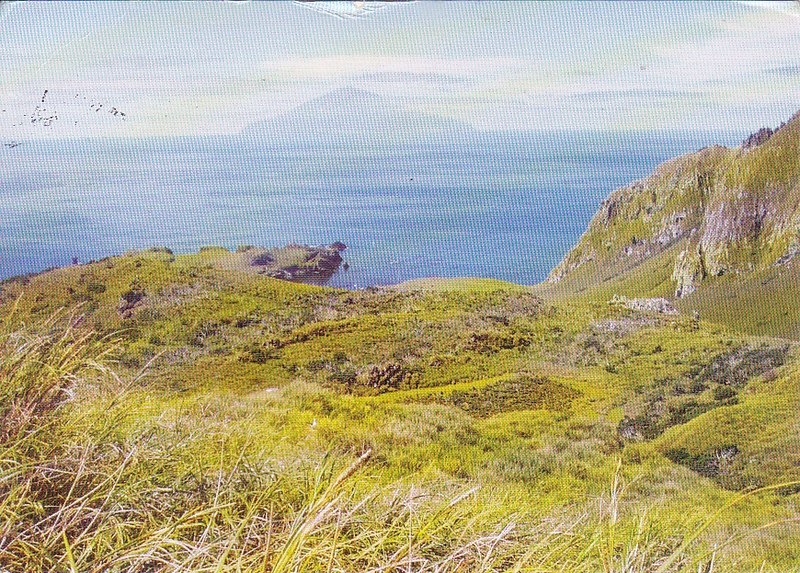 Nightingale Island with Tristan da Cunha in the background. Thanks to Jan of Czech Republic. 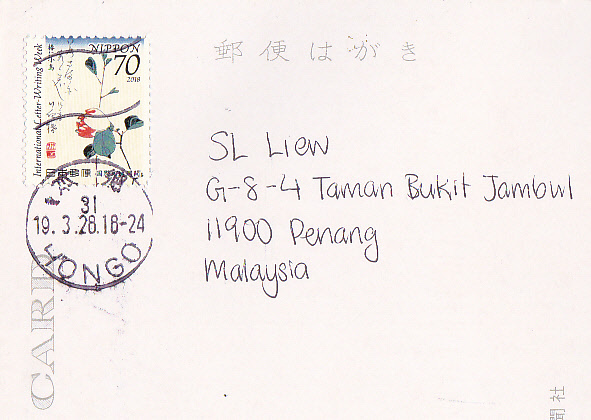 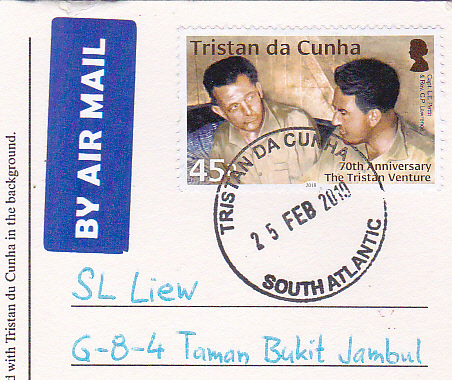 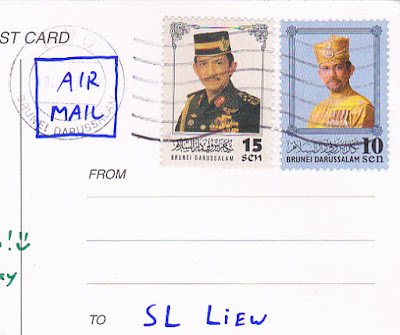 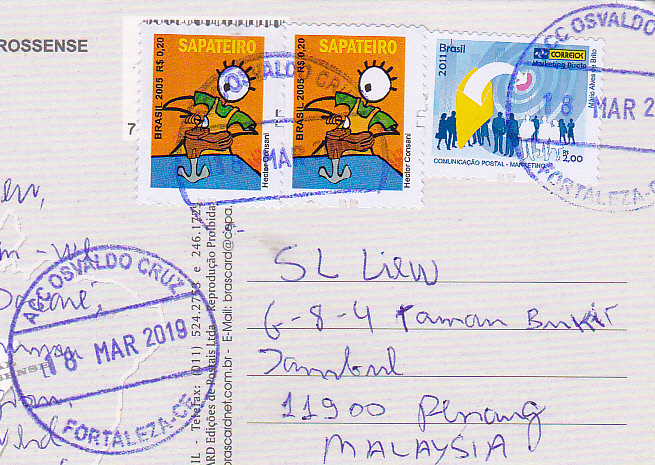 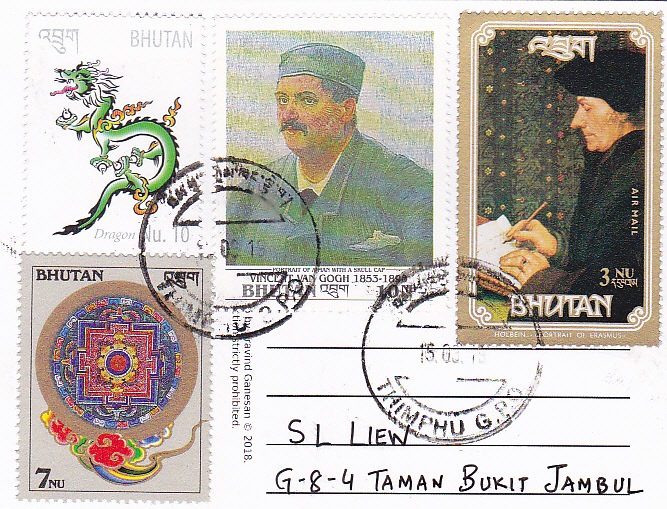 Postmarked on February 25, 2019 and received in Penang island on April 11, 2019. 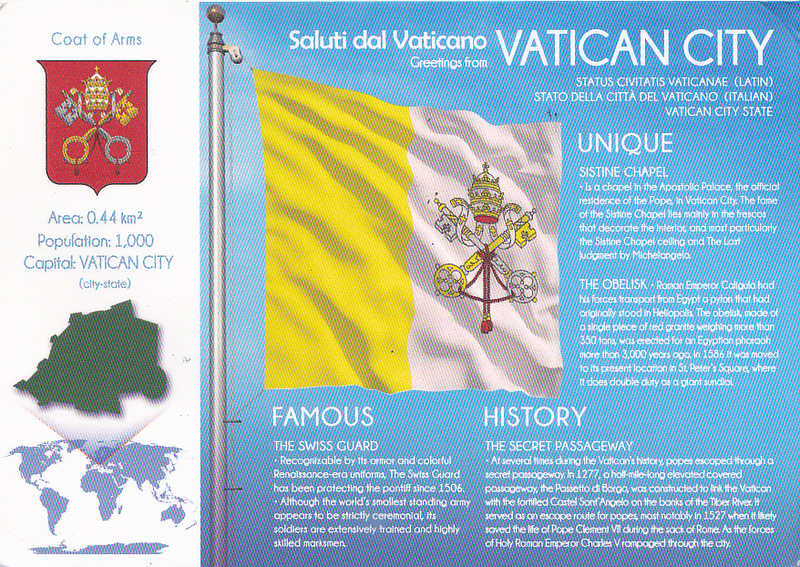 Flags of the World of Vatican City. 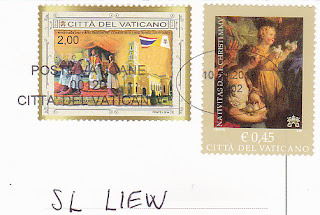 Thanks to Marie of Canada for arranging this postcard to be mailed by Agnes from Vatican City. 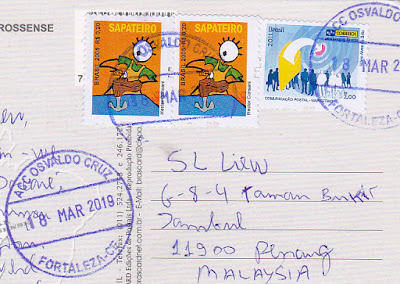 Mailed in March 25, 2019 and received in Penang island on April 11, 2019. 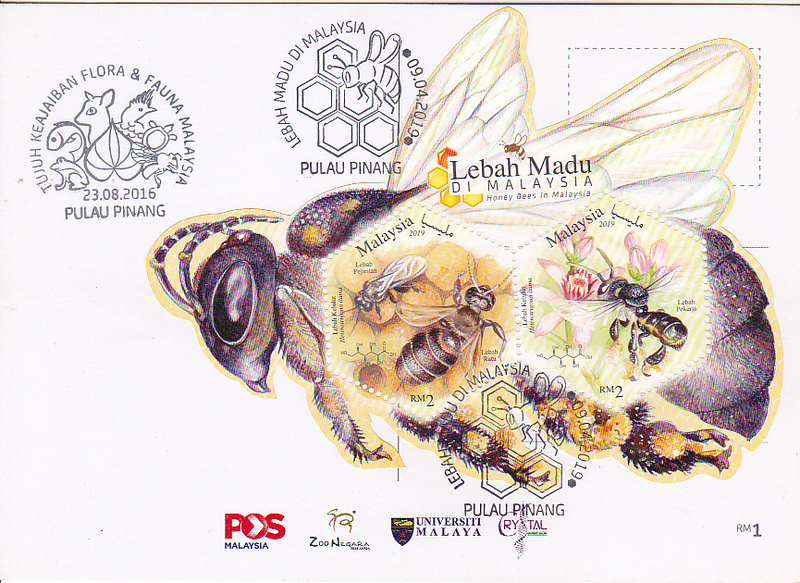 This is my second Map Cover on Postcard Series - Malaysia. 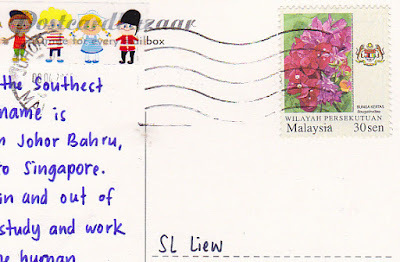 Thanks to Chui of Johor, Malaysia. 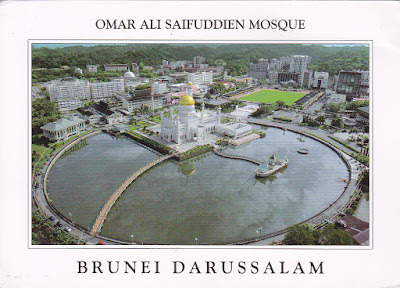 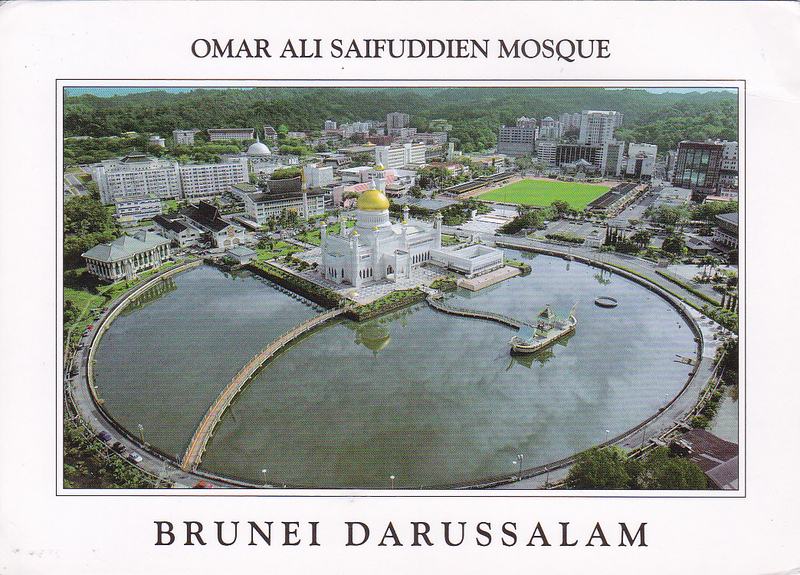 Omar Ali Saifuddien Mosque, Brunei. Thanks to Luzian from Germany who stopped-over in Brunei on the way to Sabah, Malaysia. 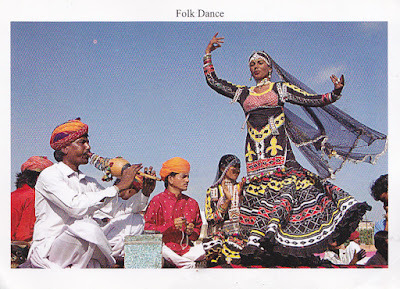 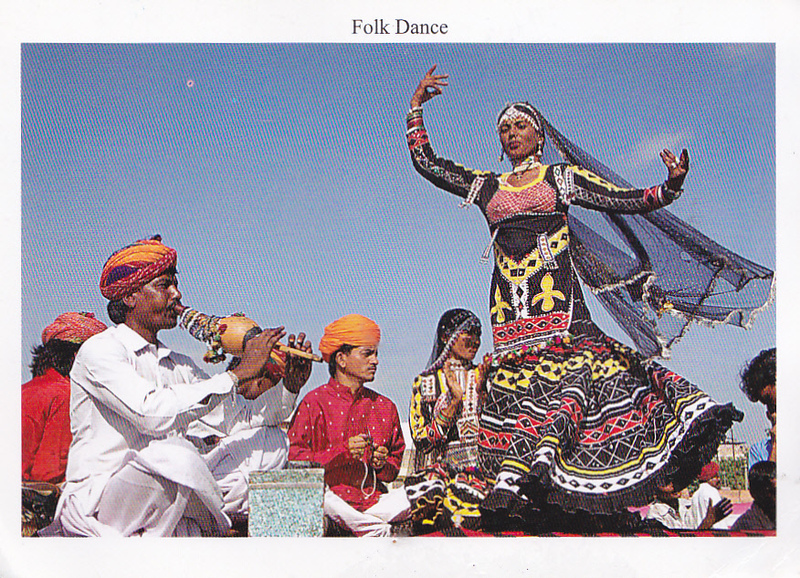 Traditional Indian folk dance. Actually, I already have this postcard. Thanks to Sanjay of India. 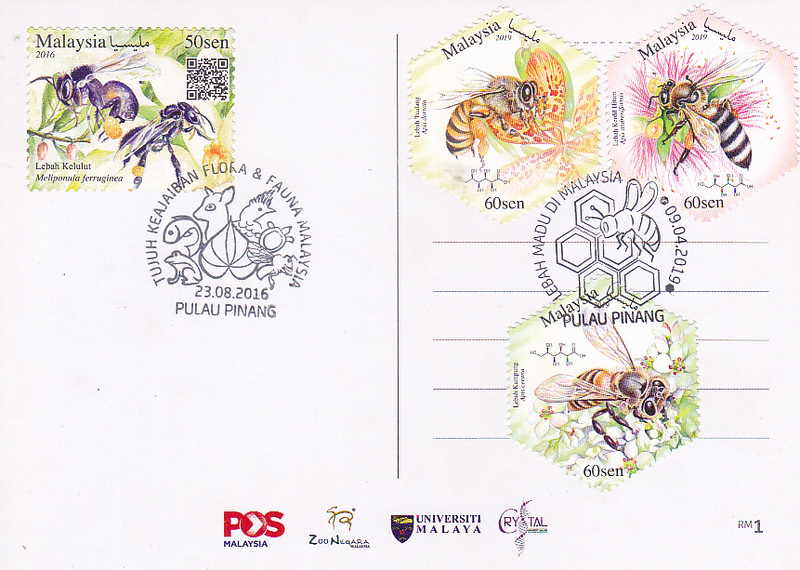 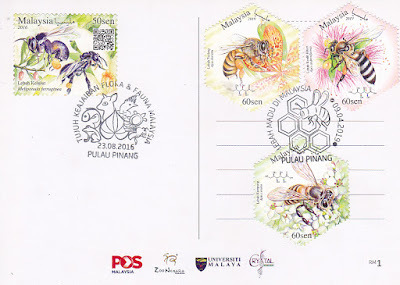 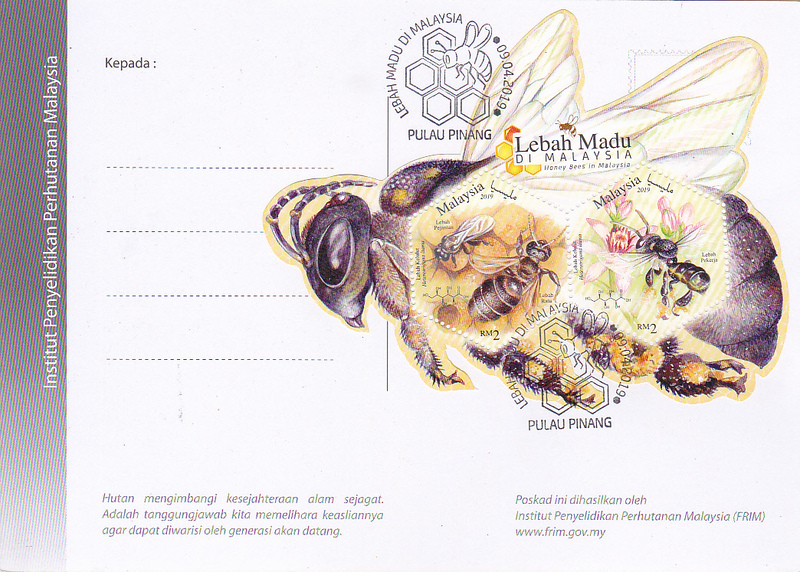 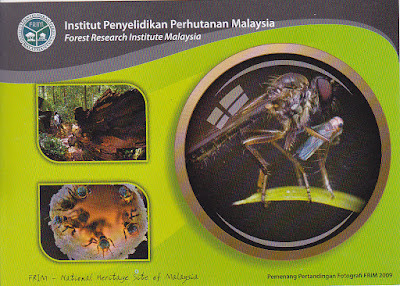 Forest Research Institute Malaysa postcard of insects with 2019 April 9 Honey Bees in Malaysia miniature sheet stamp. 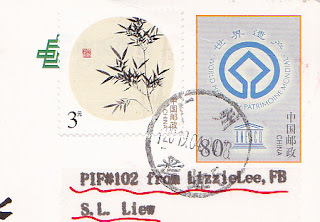 Cancelled in Pulau Pinang Main Post Office (also known as George Town General Post Office). 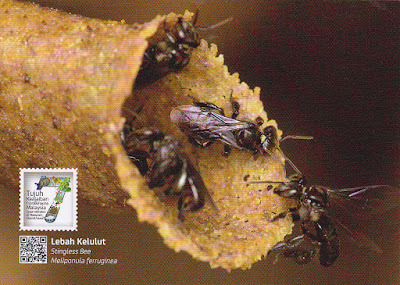 Postcard of stingless bee that was issued by Pos Malaysia for 2016 Seven Wonders of Malaysia's Flora and Fauna. 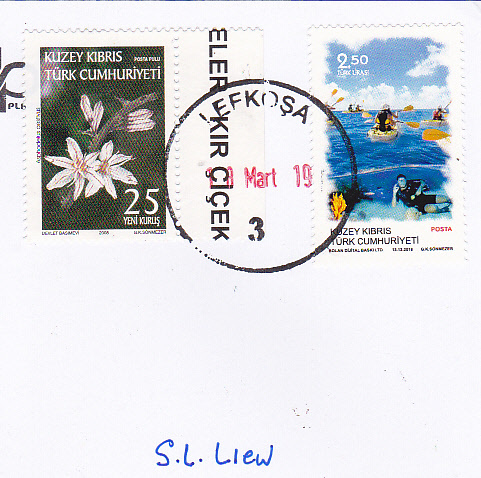 Same postcard with minisheet stamp used. 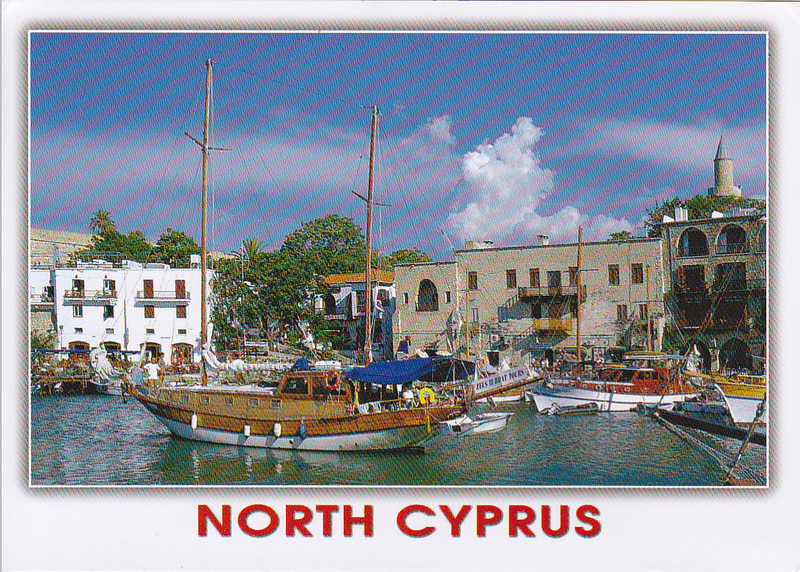 Girne Yat Limani Kibris - Kyrenia Harbour, North Cyprus. 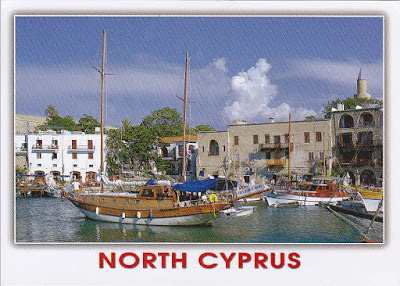 Nice stamps and clear cancellation and mailed inside a postcard plastic protection cover - thanks so much for Vera for mailing from North Cyprus. 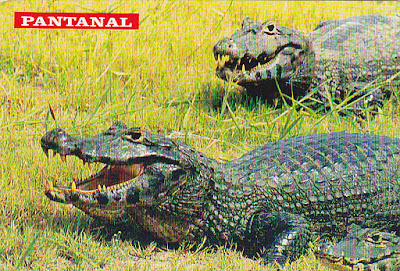 Crocodiles in Pantanal, Brazil. 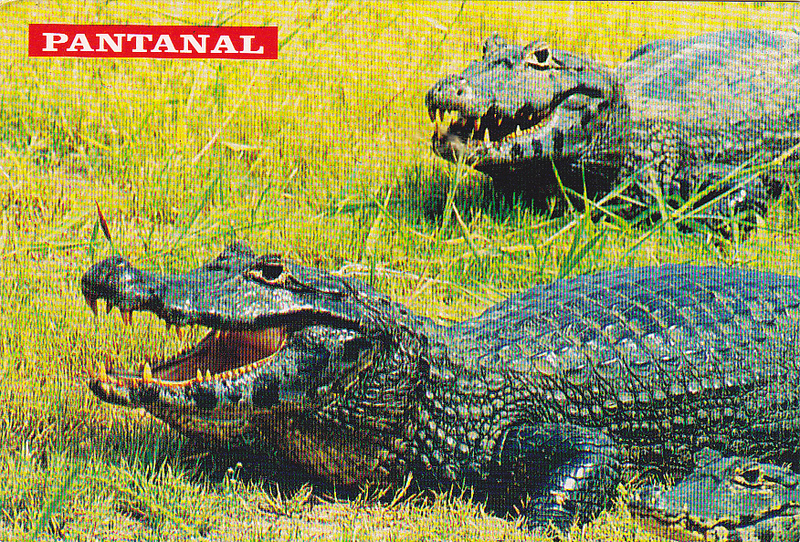 My first South American postcard of this amazing reptile - a great addition to my crocodile postcard collection worldwide. 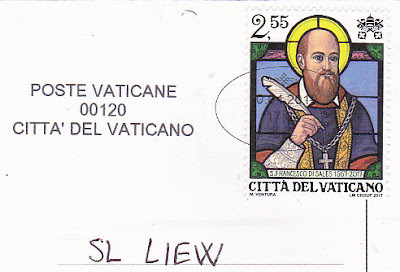 Thanks to Paolo of Fortaleza, Brazil - obrigado. 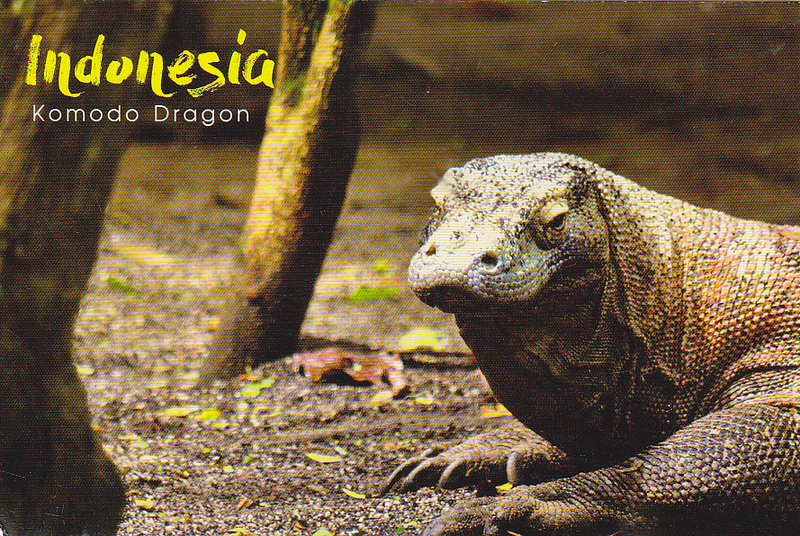 Nice Komodo dragon postcard with Joint Indonesia-DPRK stamp used. Thanks to Jean-Pierre of France. Finally, I received a panda postcard of Ueno Zoological Gardens, Japan that was missing in my panda in zoo collection. 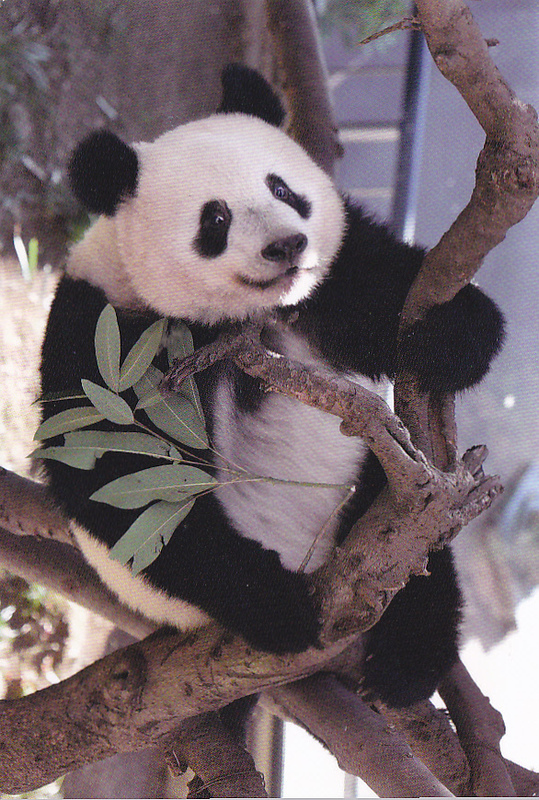 Postcard shows the female panda Xiang Xiang. Thanks so much to Shawn who mailed this postcard inside a panda painted mailbox in Ueno, Tokyo, Japan. 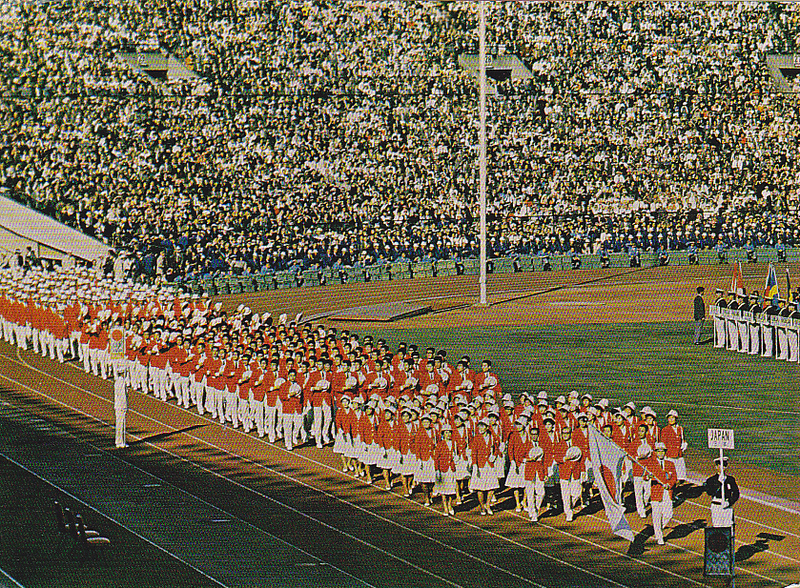 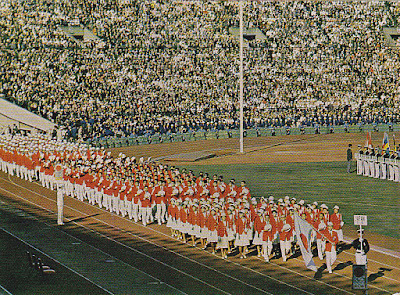 Japanese delegation entering the stadium during the opening ceremony of 1964 Tokyo Summer Olympic Games. 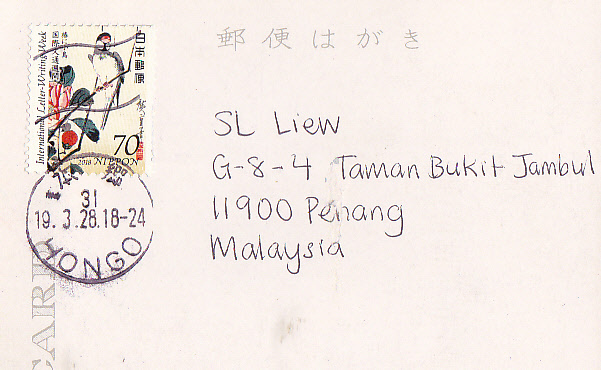 Thanks to Shawn for mailing this postcard from Tokyo, Japan. 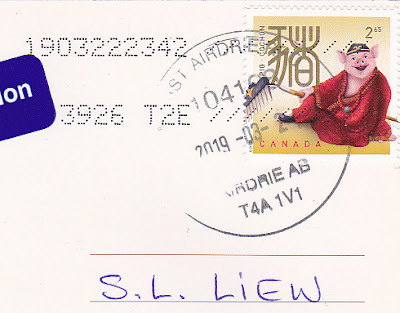 Received in April 2019. 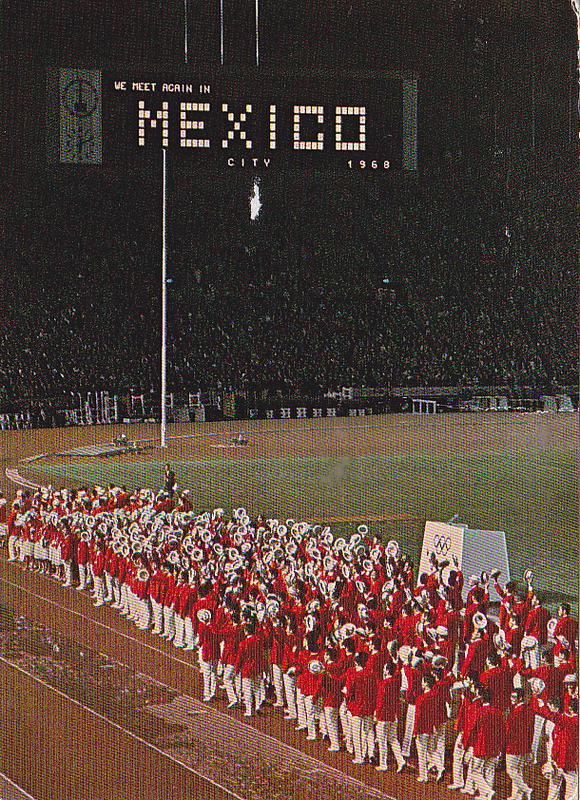 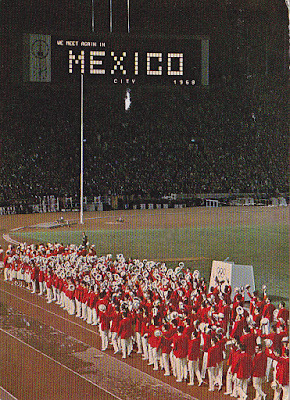 The Japanese delegation team at the closing ceremony of 1964 Tokyo Olympics Games with the Mexico, the next venue of Summer Olympic Games in 1968, at the stadium flash board. Thanks again to Shawn for buying this postcard at and mailing it from Tokyo, Japan. 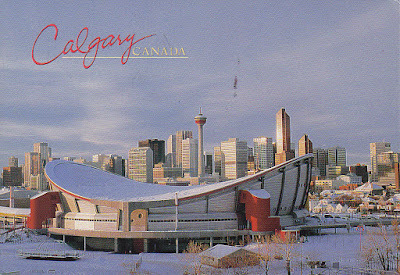 Calgary Saddledome is the site of 1998 Calgary Winter Olympic Games, Canada with Year of Pig stamp used. 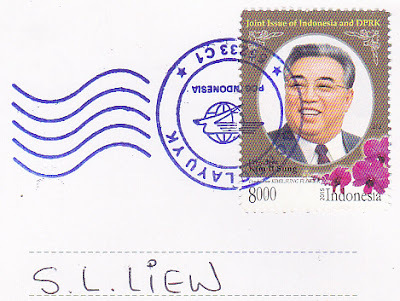 Thanks to Jean-Pierre of France.